As community member Virtua Kazama put it, EVO is the E3 of fighting games. There were plenty of highs and lows that made EVO 2018 awesome, like this year being the first foray for arguably the hypest game on the circuit, Dragon Ball FighterZ. Or maybe it’s worth mentioning that this year was our first time without a Marvel vs. game on the main stage. Yoshinori Ono blindsided everyone with the last two characters of Street Fighter V‘s season pass and Tekken‘s Katsuhiro Harada continues to be incomprehensible, but my favorite moment had to be SonicFox versus GO1 during the Dragon Ball FighterZ grand finals. SonicFox was up against the ropes at first as GO1 displayed the calm ferocity I’ve seen from him all year, clawing out of the loser’s spot and swiping away at Sonic. Then came something I’ve personally never witnessed before: a request from SonicFox to switch from Player 2 position to Player 1. Most people that I’ve heard however were fine with the request itself, they just had a problem with the tournament organizers taking 10 minutes to finalize their judgment and go forward with the switch. SonicFox wanted it and GO1 didn’t fight it, but 10 minutes of deliberation brought the Dragon Ball FighterZ grand finals to a grinding halt. After the switch, SonicFox was a different man. His Bardock and 16 alone did a bunch of lifting and I almost forgot he picked Fused Zamasu. 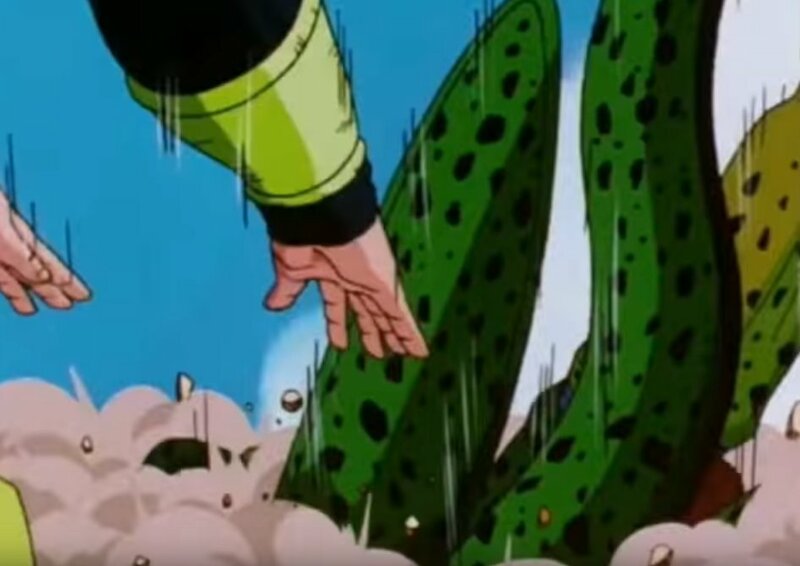 I never thought I’d see grand finals end with a literal dunk but 16 put Cell six feet under with his own bare hands. Ever since SonicFox won, everyone’s been posting pictures of the obscure Dragon Ball Z character King Furry who is, and I’m not kidding, the King of Earth. I’d like to make an honorable mention and special shout out to YouTube channel FGC Highlights for compiling all the Cell yells from the crowd. What a beautiful game Arc System Works has given us. What was your favorite moment this year? Tell me it’s Negan. It’s has to be Negan. It’s Negan isn’t it? Hell, even the reveal of G’s V-Triggers has to qualify for something. Maximum President! Dangerous President!